Glagoslav Publications has published “Andrei Tarkovsky: Life on the Cross,” a work by author Lyudmila Boyadzhieva detailing the life of this Russian director who could be as difficult personally as he was brilliant professionally. The metaphor underlying Lyudmila Boyadzhieva’s fictionalized biography is the image of revered Russian filmmaker Andrei Tarkovsky as Christ. 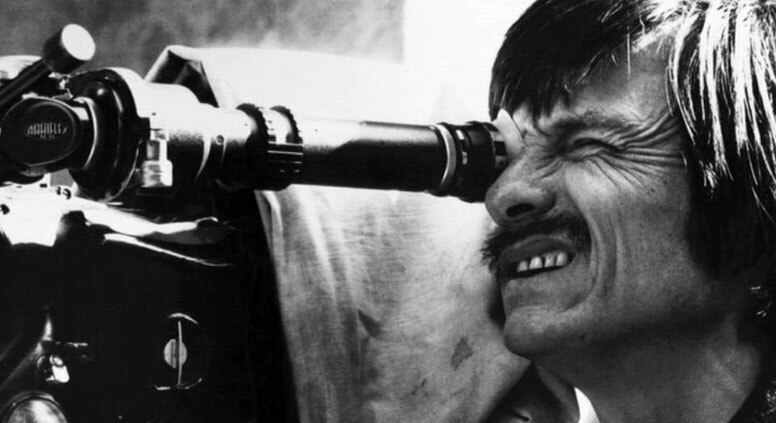 With his messianic approach to creativity – “for me making films is a moral activity,” she quotes him saying – and his ideological persecution by the Soviet authorities, Tarkovsky is ripe for hagiography. “Tarkovsky’s seven-and-a-half films are a drop of something different in the ocean of commercial and simply bad cinema …” Boyadzhieva writes at the start. But she herself finds it harder to escape generic clichés. When Tarkovsky’s father, the poet Arseny, woos his future wife Maria in a park, he “took her in his strong arms.” She later tells him: “You’re my hero … Life will be wonderful!” and they quote Lermontov together. Christopher Culver’s energetic translation grapples valiantly with the stilted dialogues, giving young Tarkovsky some amusing, slightly anachronistic teenage slang: “cool kicks,” “whoa, man.” At film school, Tarkovsky first announces his plans for a new kind of provocatively realist cinematography: “Let them crucify me.” His friend Andron responds, “A life on the cross!” Symbolically, this scene takes place on Sparrow Hills, Moscow’s best-known viewpoint. Boyadzhieva’s lumpy prose is a steaming casserole of cultural references.